October 30, 2010 – There are people who remember when It’s the Great Pumpkin, Charlie Brown first aired 44 years ago. Well, guess what? Those of us who remember when The Nightmare Before Christmas debuted are only about 27 years away from that milestone. That’s right. Nightmare is 17 years old. For some kids, the movie and its omnipresent merchandise have always been a part of their Halloween tradition. Me? I can remember when its advent was celebrated with Burger King Kids Meal watches. Nevertheless, it took far fewer than 17 years to make this movie a fully entrenched part of our Halloween (and Christmas) celebrations. As much as I hate with fangs full of venom (and all out of proportion) the term “instant classic,” the movie pretty much began enriching our end-of-the-year holidays as soon as it was released. There are a few reasons for that. First, the film takes the dark joys of Halloween and the bright wonders of Christmas and melds and molds them into this extraordinary hadouken of holiday delight that it then hurls with verve right at our deepest pleasure centers where our holiday nostalgia receptors are. Seriously, if you could package that in powder form, the War on Drugs would finally be over. 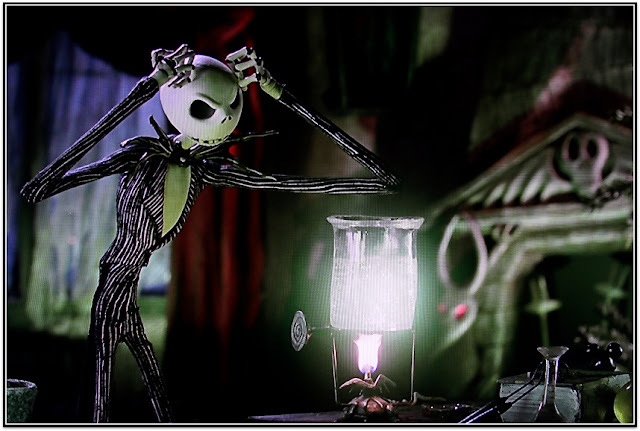 Technically, The Nightmare Before Christmas is a Christmas movie, since it takes place from November 1 to December 25. However, geographically, most of it takes place in Halloween Town, giving the whole thing more Halloween ambiance than Christmas. 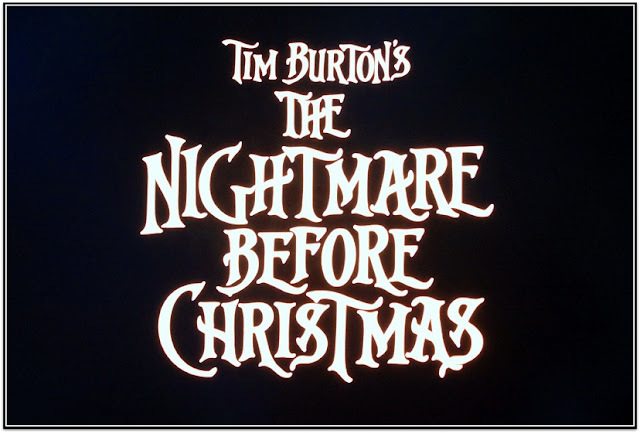 For me personally, although I have been known on occasion to watch it in December, I’m more into watching it at Halloween because I can still anticipate the coming Christmas season, while doing the reverse just gives me a depressing reminder that I’m still almost a year away from the next Halloween. Nothing ruins my day like that kind of reminder. Well, death in the family and discovering we have only on can of soda left in the fridge might beat it. Second, the story idea for the film is a great one. The idea of a master of one form massacring another, of one culture attempting to understand another by subsuming it, of a character of impressive ability not understanding his limits are all compelling themes. I wish I’d have thought of Nightmare when I was planning my English thesis. Stupid Goethe should have been the runner up. Plus, watching characters experience Christmas for the first time (“What’s this?”) plucks at some dim pre-conscious memory. I don’t remember when Christmas was first shown to me, but had I a beaker and a microscope at that age, I might have done exactly what Jack Skellington did. But this article is about the Nightmare in Nightmare Before Christmas. So back to Halloween. Burton’s monster characters are original and unique, but still familiar. 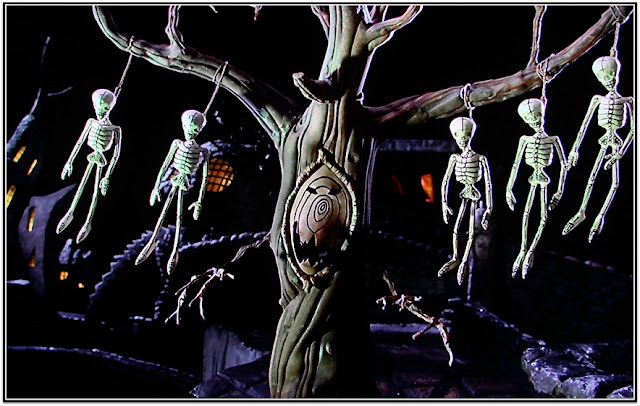 My favorite is the tree with the skeletons hanging by nooses from its branches. It doesn’t get much screen time, and only one line of song dialogue (“Everybody scream, everybody scream”), but, what can I say, it’s my Boba Fett. And Halloween Town seems like exactly the place Halloween would stay for the other 364 days of the year. Finally, the animation. The choice to do this movie in stop-motion animation was a brave and a brilliant one. This movie was hand-crafted, like antique Christmas toys or Amish furniture. Every step, every hand gesture, every scare was the direct product of human touch. And by human touch, I don’t mean on a computer keyboard. 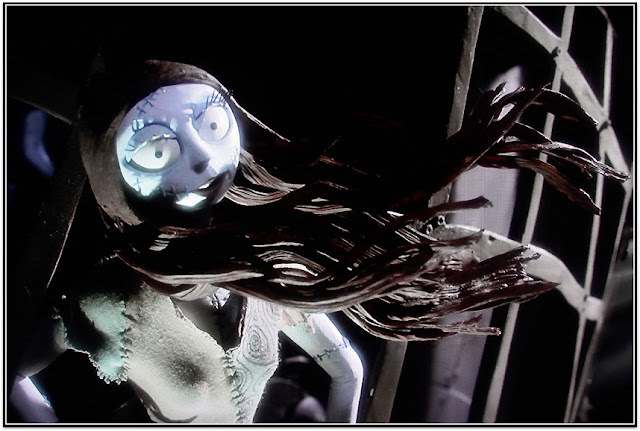 Because it’s stop-motion animated, everything has a physical texture and there are plenty of amazing “How did they do that?” scenes (for instance, Sally’s “I am the wind blowing through your hair” clip). You don’t have that kind of mystery in modern animation. In fact, I’d go so far as to say that as magical as the story idea and the holiday aura are for this movie, it wouldn’t reach the Houdini status it has were it animated in any other way. 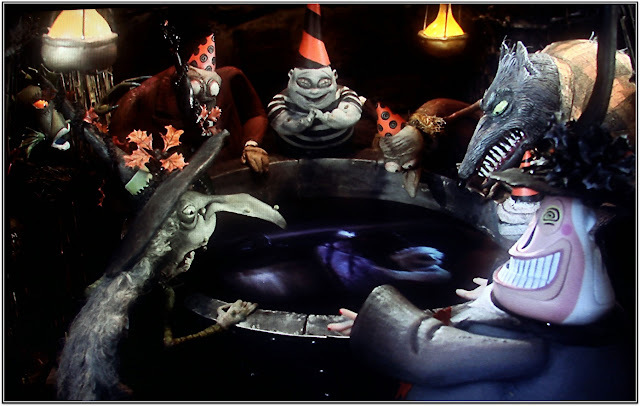 The only real mis-step in the movie is Oogie Boogie’s lair. I liked the black light, but the whole Vegas gambling milieu is a bit aesthetically out of step with the rest of the movie. I mean, I get why it was in there. How do you make a “bad guy” monster in a land of monsters where terms like “horrible” and “dreadful” are compliments? Answer: Give him a vice. All they really needed to do, though...which they did as well…was to make him mean-spirited, and that would have differentiated him from all the other monsters. Anyway, tonight, as soon as I press publish on this article, we’ll strew the room with Nightmare figures that have been temporarily upgraded from their Halloween decoration role to full-fledged participants, grab some Halloween treats from one of the 5,000 candy bowls currently infesting our house, and then watch the movie. This, my fellow celebrants, is Halloween…eve.